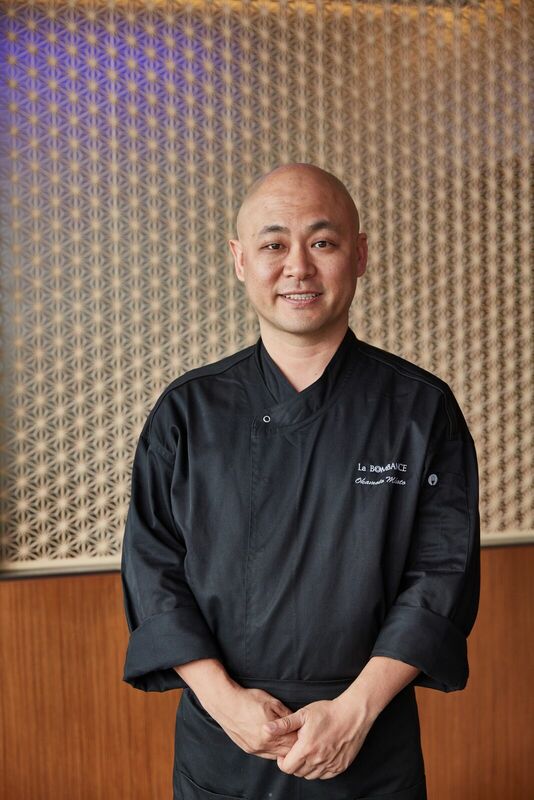 Opened by owner-chef Makoto Okamoto in summer 2016, La Bombance is a new omakase restaurant in town serving 'new Japanese cuisine' that incorporates French elements into traditional Japanese fine dining. The first La Bombance outlet opened in 2004 in Tokyo, and it immediately shook up the local dining scene. The establishment has become the restaurant of choice for celebrity patrons and has been awarded Michelin stars for eight consecutive years. 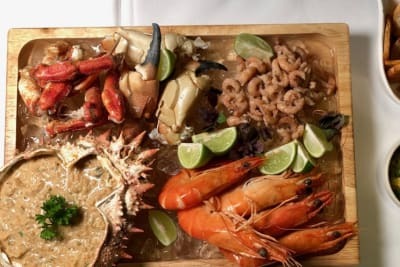 The Hong Kong eatery serves a similar menu as its Tokyo counterpart, a nine-course set dinner ($1,280) that changes every month using only the finest local and imported ingredients. 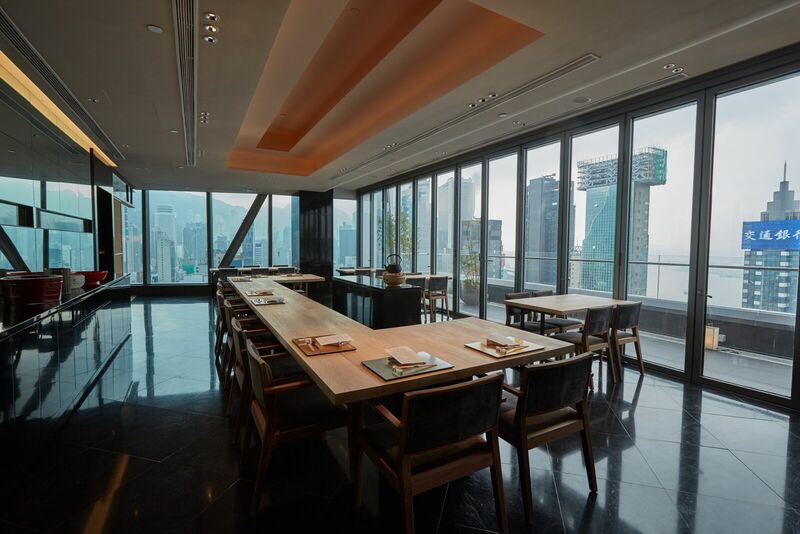 The restaurant is located at the top of V Point, an up-and-coming dining destination in Causeway Bay, and boasts a spectacular Victoria Harbour view. One enters the restaurant through a lighted corridor that is reminiscent of a small alley in Kyoto. In the middle of the main dining room is a long bar table made of white wood, where chefs prepare sushi à la minute in front of guests; there are also three private dining rooms for more discreet encounters. 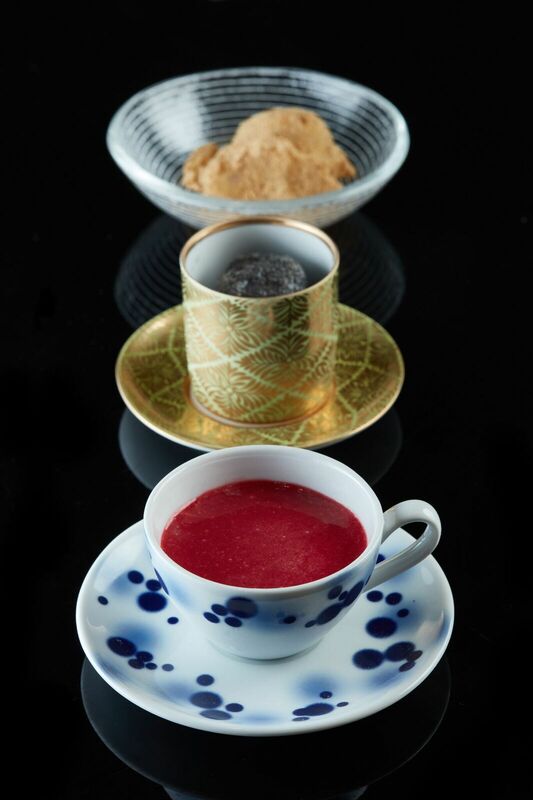 The Japanese and Western-style tableware and laquerware are specially imported from Japan, epitomising the marriage of Asian and Western aesthetics at this restaurant. 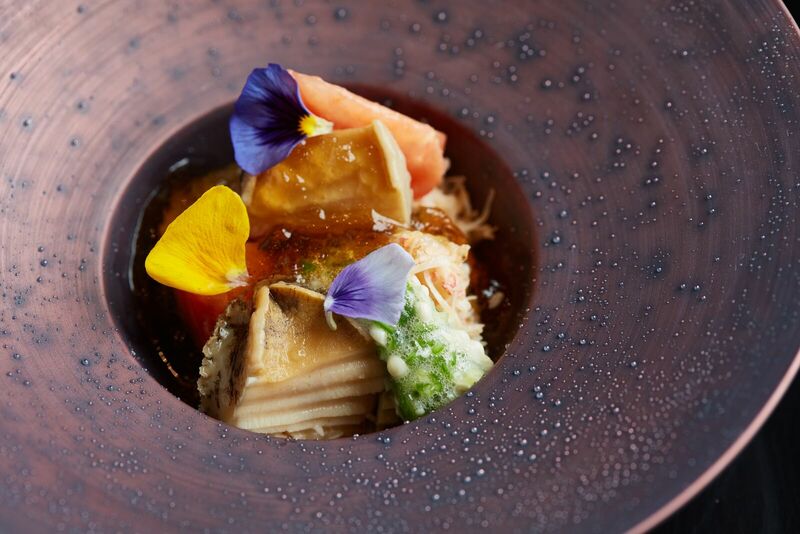 Renowned for his unique and avant-garde sense of culinary style and meticulous attention to detail, each of the nine courses designed by Chef Makoto is a work of art. The aubergine curry mousse, topped with crabmeat and cucumber and served with tomato jelly, offers a delicate melange of flavours that is refreshing and exciting, just perfect for this summer weather. The hot egg custard crowned with foie gras, black truffle and roasted rice is a classic, and the indulgent flavours linger long on the palate. 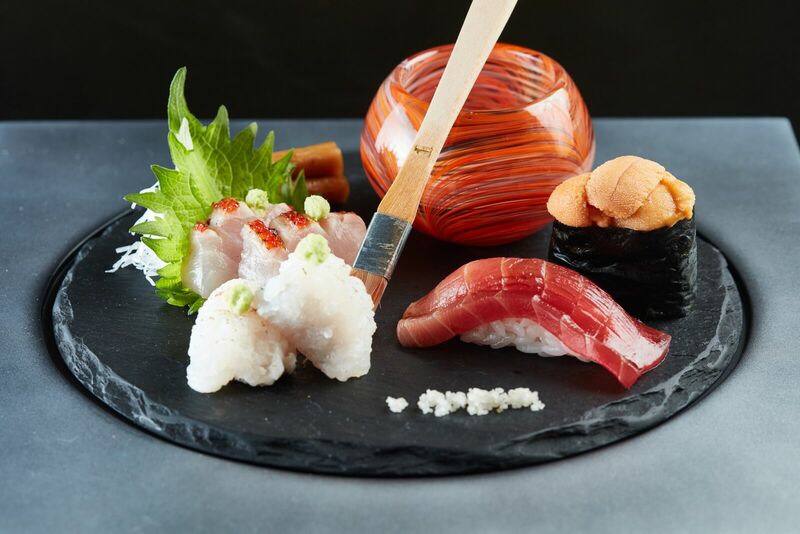 The Wagyu beef roll served with sea urchin is a crowd pleaser and is both beautifully crafted and delicious. 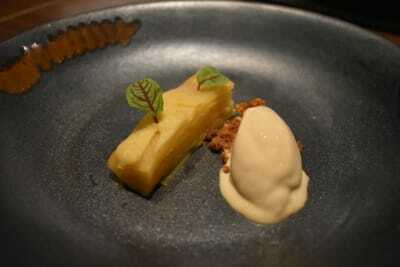 The tiramisu with mango sauce and black sesame sorbet is refined and enticing. The warabimochi, drizzled in black honey and served with vanilla ice cream, hits the perfect level of sweetness and ends our meal on a high note.